M. Sue Wilson Law Offices, P.A., is a Twin Cities-based law firm dedicated exclusively to the practice of family law. 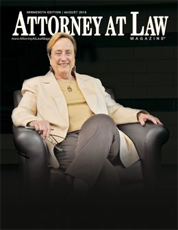 Led by managing partner M. Sue Wilson, a Stanford Law School graduate who has practiced family law for more than 40 years, we fight for the best outcome for each and every client. Navigating a divorce or family law matter can be one of the most emotionally painful experiences of your life. 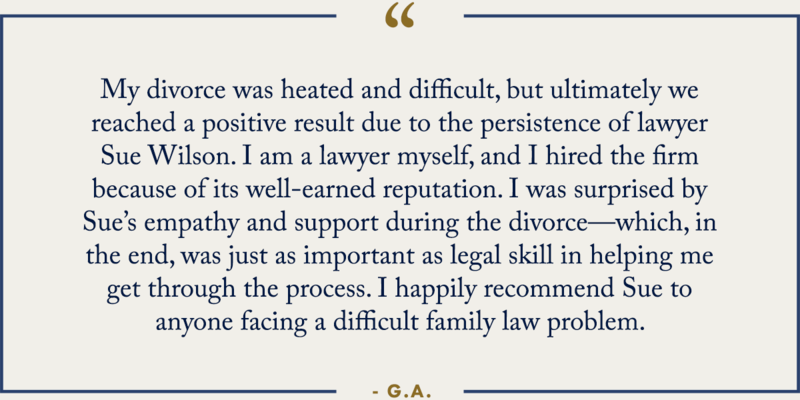 Whether it’s giving you a chance to be heard or gracefully fighting for your best interests, our family law attorneys put our hearts and souls into helping you get to a better place. We take client communication seriously, which means you can count on a prompt response. If you would like additional information about our firm, please complete the contact form below. You may also contact our office at (612) 340-1405.